PASADENA, Calif.—Pasadena Bio Collaborative Incubator (PBC), high tech incubator for early stage start-ups and a regional workforce development magnet for scientists seeking wet lab R&D competency, announced the resignation from the Board of Directors of William Opel, MBA and PhD. The resignation is effective as of June 30. Dr. Opel was the President and CEO of Huntington Medical Research Institutes (HMRI) for nearly 40 years. 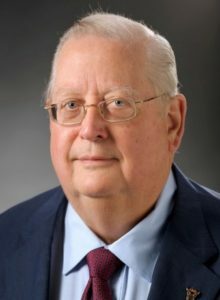 He formed HMRI in the early 1980s, combining three research groups affiliated with Huntington Memorial Hospital, a tertiary medical center and teaching hospital. At that time, he launched one of the country’s first clinical magnetic resonance programs, which went on to gain acclaim in imaging applications development and in clinical spectroscopy. His leadership at HMRI led to many advances in the field of medicine, including neural engineering, brain mapping, molecular medicine and clinical research. He worked with Huntington Hospital to encourage research projects by both medicine and surgery residents, as well as attending staff, and to expand HMRI’s joint postdoctoral fellowship programs with Caltech. Dr Opel is active in community organizations and is past president of the PCC Foundation. Background on PBC: PBC was established in 2004 by the City of Pasadena, Pasadena City College, and California State University Los Angeles to work collaboratively with Pasadena’s higher education institutions, entrepreneurs, investors and other stakeholders to provide high tech workforce development and incubate early stage bioscience start-ups. More information is available at pasadenabio.org.